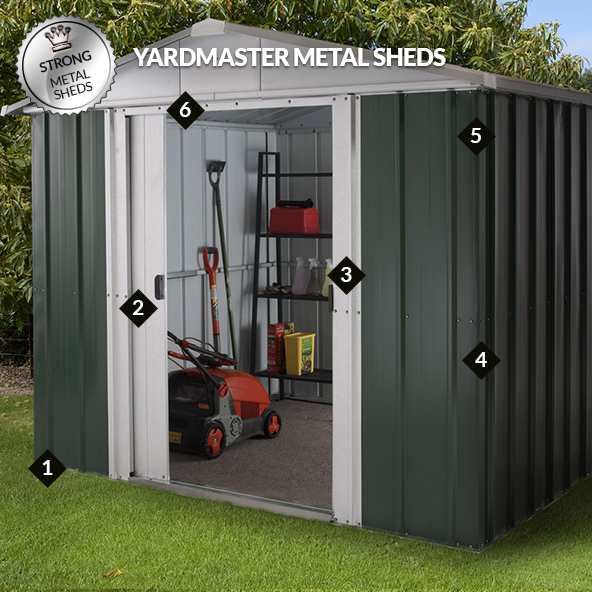 With a contemporary style, durable build and backed by an impressive 10-year anti-rust guarantee, the 8x4 Yardmaster Pent Metal Shed is the perfect place to safely house your expensive tools, garden furniture and bicycles. You can gain easy access to your stored items via sliding double doors, which are overlapping, include a padlock fixing (padlock not included) and are fitted with anti-tamper bolts, so rest assured that your prized possessions will be completely shielded from the elements and safe from unwanted attention. Ventilation along the ridge and eaves ensures optimum conditions for your stored items.